What to expect from a yoga class with me! 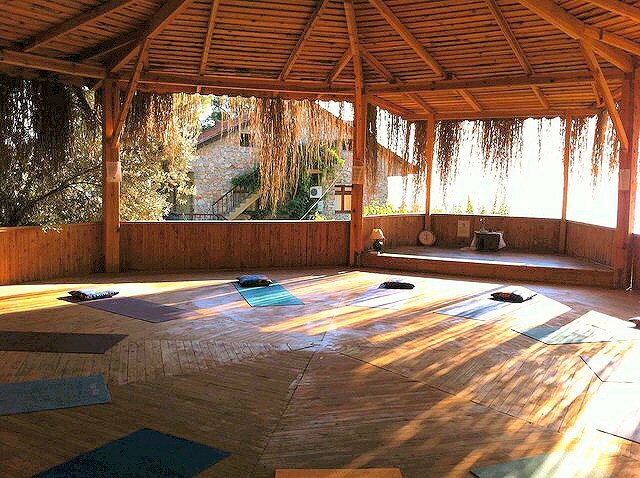 The yoga platform where we’ll be practising during my retreat in Turkey, September.There are so many different yoga styles to choose between and then each teacher shares yoga in a way that is authentic to them so the variety of yoga available out there is immense. There are so many different yoga styles to choose between and then each teacher shares yoga in a way that is authentic to them so the variety of yoga available out there is immense. It’s so important to find a yoga teacher that you resonate with and I believe there’s a teacher (or a few) out there for all of us! I have been to many different yoga classes over the years and some have been fine, I’ve done my yoga practice feeling good but then others I’ve left feeling totally inspired, like I have learned something, at peace and simply floating home. This is mainly what I look for from a class, so I that’s also my intention for my students. We all want different things from yoga though. So if you are looking for an energetic practice where you want your body to have had a good work out too then you may not find a very slow relaxing class enough for you. 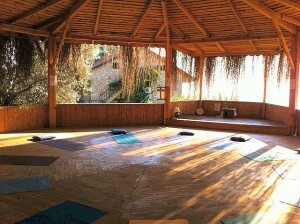 An ashtanga, hot or vinyasa flow class might be better for you rather than a restorative or hatha class for example. Some teachers will teach yoga in a very anatomical way, or as a form of exercise, or more as a spiritual or relaxing practice. Again everyone is looking to get different things from yoga so it’s important to find the right teacher that fits the experience you are looking for. So to help you decide if I would be the right teacher for you here’s a few things of what to expect from a yoga class with me. I focus on you finding the right variation of each pose for you, moving how feels good to you. There will be certain specific instructions for alignment in poses I will give to make sure you are looking after your body but there will also be lots of choice and room to play around to make sure you feel comfortable in the pose. In a group class I don’t make too many hands on adjustments unless I know the student likes me to or I see someone putting their body at risk. I make more verbal cues and adjustments so you can find your own way in the pose through my suggestions. Grounding and mindfulness. One thing I love about yoga is that is that it helps you to get out of your mind chatter and into your body, this helps to ground you in the present moment and connect to the earth, which is a stable, secure feeling. So I often give you cues to bring your mind to your connecting to the earth and to focus on the moment right now. I also love the opportunity to connect with the heart and your inner voice, so sometimes I do bring moments to do this into the practice. I often have a theme for the class, an intention, something to focus on. For example being playful, acceptance, connecting with joy, being in the moment and so on. You don’t have to focus on it it’s just a suggestion. I find intentions in every day life really helpful to create a life I choose and I see yoga as a way to practice living with intention. I am also a life coach so sometimes I bring in insights about life from that area of my work too. I often do a reading while you are relaxing, a meditation or share some insight around yoga. I make sure you have at least 5 minutes in savasana (lying down relaxing at the end) and I guide you through relaxing the body. My flow classes involve graceful movement with the breath. My hatha class is slower more static poses after we have done some sun salutations to warm the body. My yoga for a peaceful mind involves breath work, meditation, yoga nidra (deep guided relaxation) and yin based poses all designed to help you relax and just be. Beginners are welcome in all my classes. I encourage you to listen to your body and rest when you need to or try a next level pose if that is right for you. In fact I celebrate when you do this as it means you are truly practising yoga. So if you like the sound of this then please come give one of my classes a go! I do also offer 1-1’s if you wish to learn the basics or take your practice to a deeper level. I blend my yoga knowledge, reiki and life coaching in to make the 1-1’s a holistic experience. This entry was posted in Yoga on May 18, 2015 by louise.